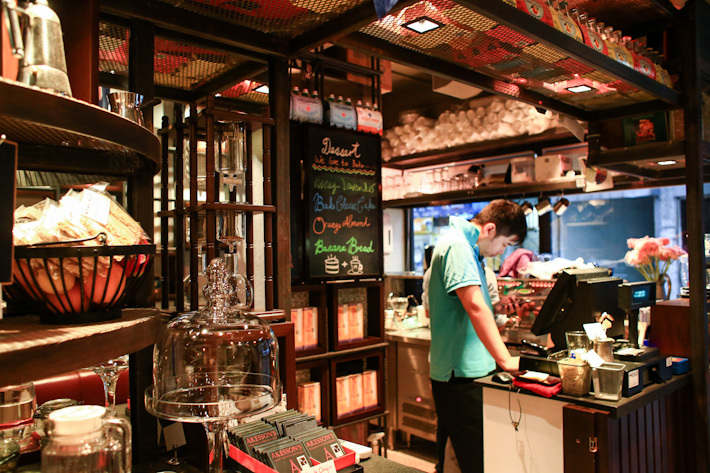 Third-wave specialty coffee cafes, rowdy raunchy bars, upscale speakeasy lounges, street side local hawkers, fine dining restaurants… Wan Chai is a bustling district in Hong Kong with an eclectic mix of tenants. It is impossible to categorise this neighbourhood—because you simply cannot limit Wan Chai to a single trait when so much is going on at the same time. From one-Michelin-star Fook Lam Moon Restaurant, local Hong Kong-style restaurant Joy Hing’s Roasted Meat, Omotesando Koffee’s first international outpost, peacock-themed cocktail speakeasy Ophelia to independent coffee shop The Cupping Room, here is our Guide to Bars, Cafes, Cha Chaan Tengs and Restaurants in Wan Chai, Hong Kong. Situated within Renaissance Hong Kong Harbour View Hotel is Dynasty Restaurant, a fine dining establishment that serves a fine array of authentic Chinese delicacies. It is also a great place for dim sums. 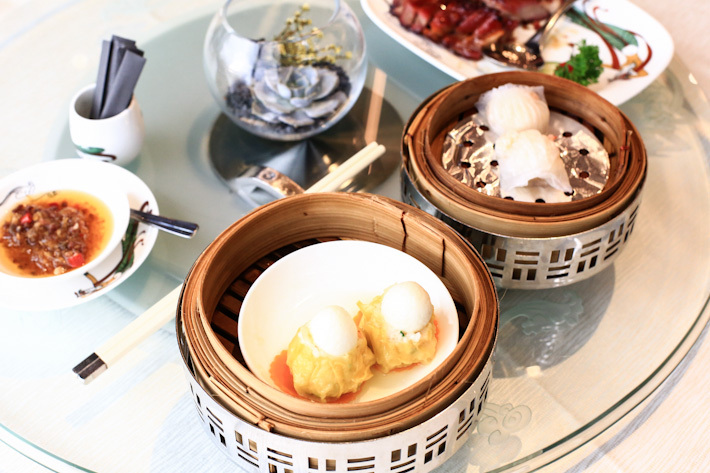 Popular dishes include the Quail Egg with Minced Shrimp and Pork Steamed Dumpling (HK$65) and Black Truffle Sauce Vegetarian Dumpling (HK$58). One-Michelin-star Fook Lam Moon Restaurant is a frequent haunt amongst Hong Kong socialites. Needless to say, a meal here is far from affordable and prices of handcrafted dim sums typically range from HK$60 to HK$70. 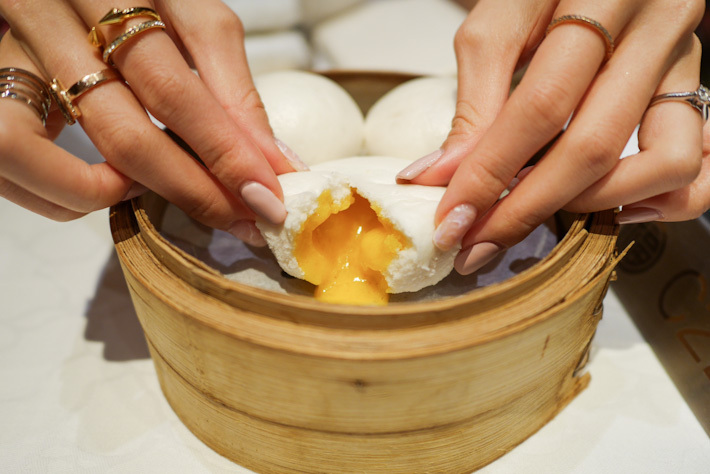 Fook Lam Moon Restaurant is also listed in our Guide To The Best Dim Sum Restaurants in Hong Kong. Ham & Sherry is a successful collaboration between restaurateur Yenn Wong and British Michelin star Chef Jason Atherton. The name itself says it all; house-cured meats and sherry is the name of the game. Ham and Sherry boasts Asia’s biggest sherry list and sherry novices should try their tasting flights (HK$295), where you get to sample four sherries of your choice. 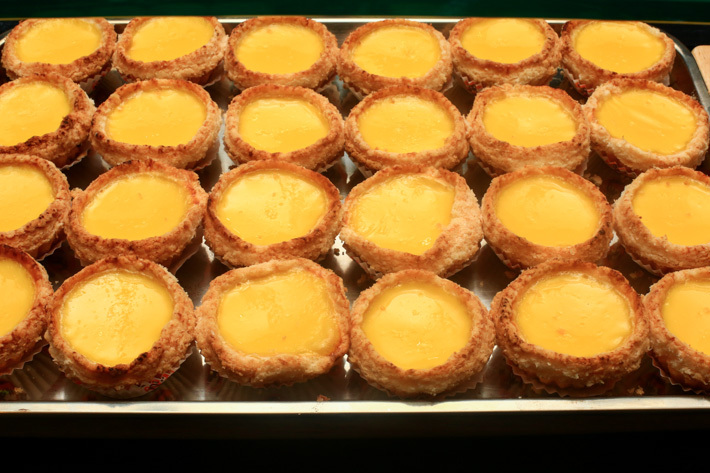 Honolulu Coffee Shop is one of Hong Kong’s best cha chaan tengs and they are best known for their egg tarts. However, do make it a point to drop by in the morning to savour the freshest and tastiest egg tarts as there is a stark contrast in its quality during daytime and nighttime. The Honolulu Pineapple Bun with Butter aka Bo Lo Yao is their next bestselling snack. If you are going to Hong Kong for holiday, check out this list of the Top 11 Cha Chaan Teng (Hong Kong style tea restaurant) in Hong Kong. One of the best roast goose restaurants in Hong Kong, Joy Hing’s Roasted Meat is a small and unassuming local eatery jam-packed with native Hong Kongers throughout the day. The dining experience here is certainly not for the fussy eaters; expect an elbow-to-elbow condition and non-existent staff service here. However, what you get in return is an extremely satisfying meal of roast goose and char siew at economical prices. Kasa is a 52-seater restaurant that specialises in Cantonese fusion cuisine. Patrons can expect an impressive selection of Instagram-worthy east-meets-west dishes that will definitely pique your interest. Think Molten Duck Yolk Custard Lava Cake (HK$38++) and lattes served in oriental tea cups. It is also worth a special mention that every dish at Kasa is MSG-free. Hailing from Tokyo, Omotesando Koffee is a popular Japanese coffee brand that took the world by storm with its quirky venue, irresistible baked custard cubes and espresso-based beverages. While its flagship location at an age-old traditional Japanese home is no longer in operations, Hong Kong is now home to Omotensando Koffee’s first international outpost. Tsim Sha Tsui has so many restaurants, eateries and cha chaan teng that it can be quite a headache to decide on where to dine at. For a start, here is a quick guide to the restaurants in Tsim Sha Tsui, Hong Kong that you can dine at. Former Australian miner Ashley Sutton is renowned for his outrageous bars in Bangkok and the influential tastemaker has opened a whimsical nightlife playground—a peacock-themed cocktail speakeasy that is unlike anything we have ever seen. Inspired by the lavish opium dens of the 19th century, no expenses have been spared to create this fantasyland. Kam Fung Cafe is a well-loved local institution known for its excellent milk tea, pineapple buns, egg tarts and baked chicken pies. Kam Fung Cafe’s baked chicken pies are phenomenal; the crust is super buttery and melts in the mouth. We suggest you head there early to get the cream of the crop! Yes, these fresh-off-the-oven chicken pies are worth waking up early for. 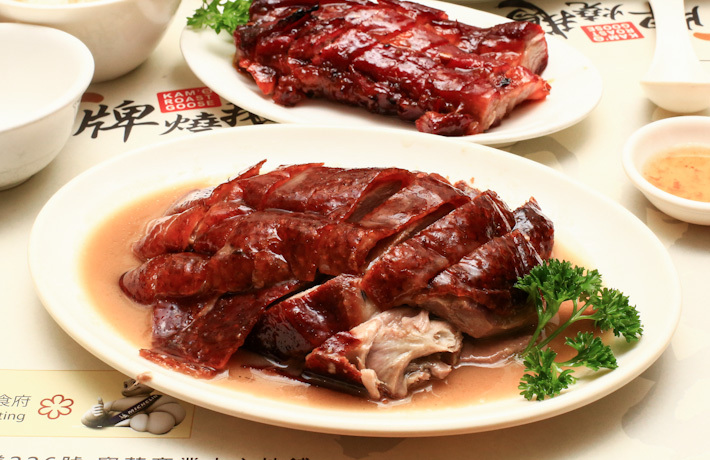 It is no surprise that Kam’s Roast Goose was bestowed the honourable Michelin star just within months of its opening in 2014. After all, owner Hardy Kam Shun-yuen is the descendant of legendary Yung Kee’s founder. Fast forward to 2016 and Kam’s Roast Goose has maintained its shining star with its signature dish. Yes, the specialty goose restaurant has lived up to its hype! Mansons Lot is interestingly named after a Scottish immigrant by the name of Patrick Manson. Sir Manson was the first person in Hong Kong to import live cattle and today, specialty coffee cafe is aptly named after him. The European-style cafe serves a comprehensive variety of dishes and caffeinated beverages. The Butcher’s Club was only founded in 2013, but has already quickly gained the recognition of locals and expats alike for being Hong Kong’s best burger joint. The burger specialty bistro takes immense pride in serving dry-aged beef from Australia to meat lovers in Asia. 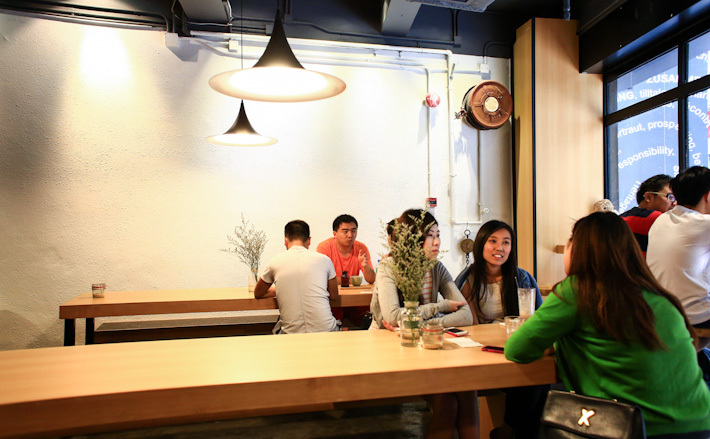 The Cupping Room is a well-established independent coffee shop in Hong Kong and home to the champion of Hong Kong Barista Championship 2013. Set food inside Cupping Room and let the aroma of coffee beans engulf you—this Melbourne-inspired coffee shop is the go-to place for excellent coffees and one of our all-time favourites. Named after its address on Ship Street in Wan Chai, 22 Ships is a no-reservation tapas bar by English chef & restaurateur Jason Atherton and hotelier & restaurateur Yenn Wong. It is a fun place to dine at; enjoy your tapas in a buzzing and intimate setting.